The Chinese Impact upon English Renaissance Literature examines how English writers responded to the cultural shock caused by the first substantial encounter between China and Western Europe. Author Mingjun Lu explores how Donne and Milton came to be aware of England’s participation in ’the race for the Far East’ launched by Spain and Portugal, and how this new global awareness shaped their conceptions of cultural pluralism. 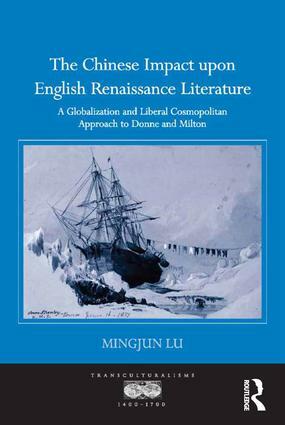 Drawing on globalization theory, a framework that proves useful to help us rethink the literary world of Renaissance England in terms of global maritime networks, Lu proposes the concept of ’liberal cosmopolitanism’ to study early modern English engagement with the other. The advanced culture of the Chinese, Lu argues, inculcated in Donne and Milton a respect for difference and a cosmopolitan curiosity that ultimately led both authors to reflect in profound and previously unexamined ways upon their Eurocentric and monotheistic assumptions. The liberal cosmopolitan model not only opens Renaissance literary texts to globalization theory but also initiates a new way of thinking about the early modern encounter with the other beyond the conventional colonial/postcolonial, nationalist, and Orientalist frameworks. By pushing East-West contact back to the period in 1570s-1670s, Lu’s work uncovers some hitherto unrecognized Chinese elements in Western culture and their shaping influence upon English literary imagination. Mingjun Lu is an independent scholar.